Hello there! 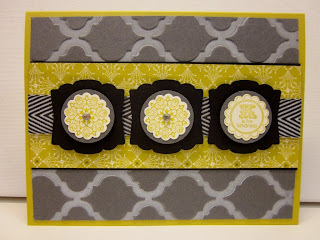 Welcome back for a brand new challenge for the Stampin' Royalty challenge blog. 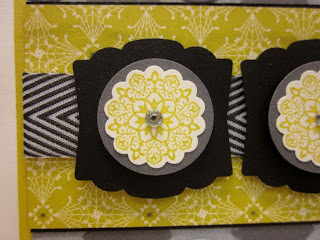 This week's challenge is a picture inspiration challenge, so take a look at the picture, grab your provisions and create something FAB and head on over to the Stampin' Royalty to link it up! 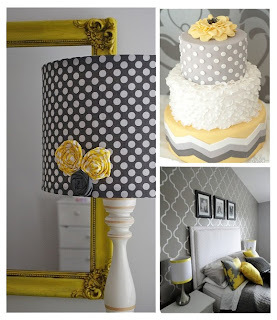 Now, I a not a yellow and gray kind of gal, but I love this picture inspiration. I picked the bottom right hand picture for my card. I pulled out my modern mosaic embossing folder and brayered on some whisper white craft ink on my basic gray card stock, ran it through my big shot, and out came this fabulous embossed ink background. I pulled a piece of the Witches' Brew DSP scrap that I had left on my craft table and thought it fit the inspiration well. I wanted to match the picture frames in the inspiration photo and thought that the artisan label punch would be a great fit. 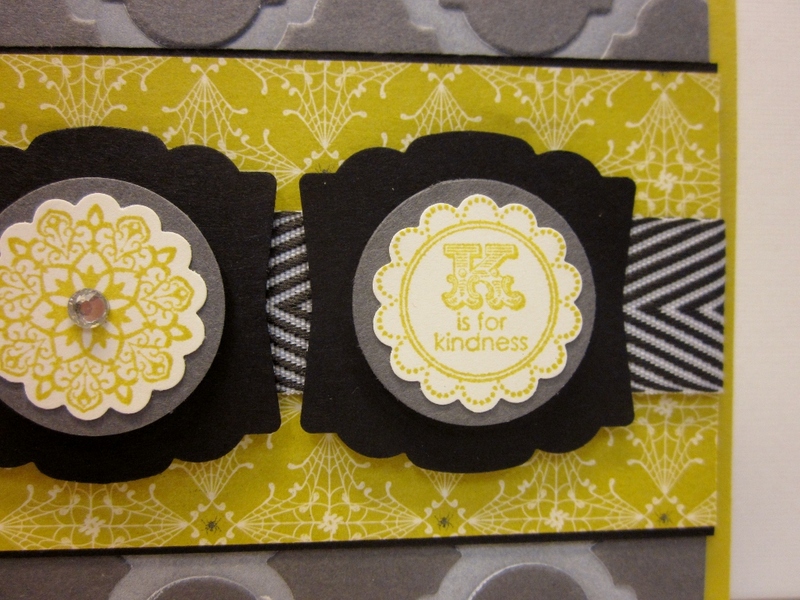 A Round Array stamp set provided the small scallop circles and the sentiment. 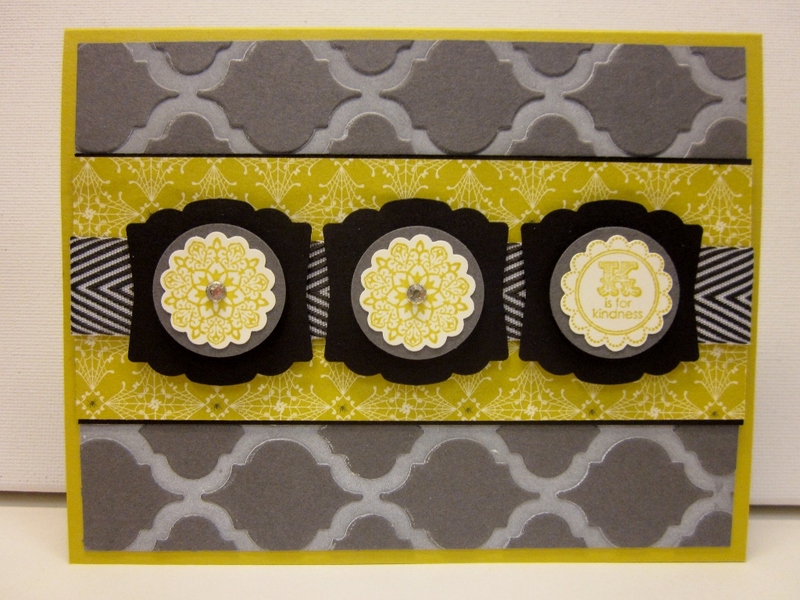 Layered on one inch circle punches they looked swell. A bit of bling was added to the center with the basic rhinestones. All in all a CAS card that packs a big punch, perfect for anyone. 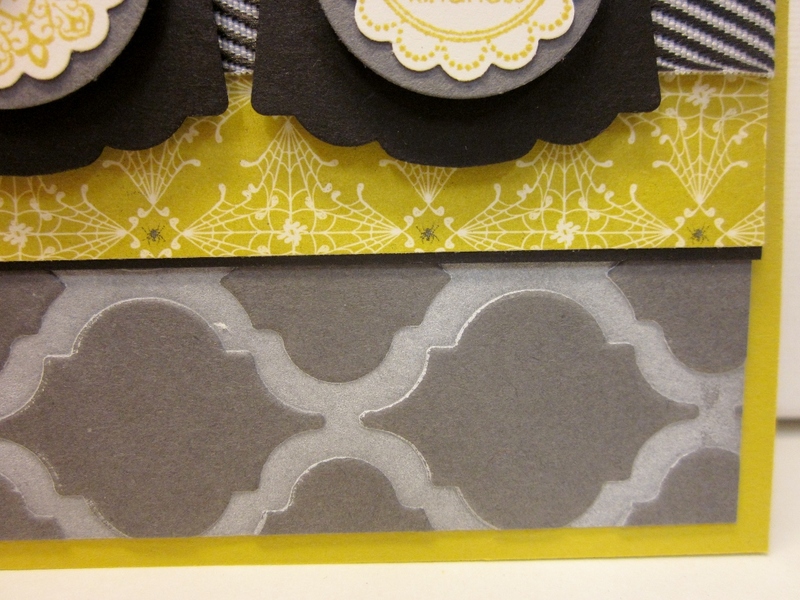 What do you think of all of those patterns? I love to read your comments, please let me know your thoughts! Thanks so much for stopping by today, I hope you were inspired, enjoy! Simply beautiful. Love all the patterns. Oh, wow - you totally ROCKED the inspiration photos. 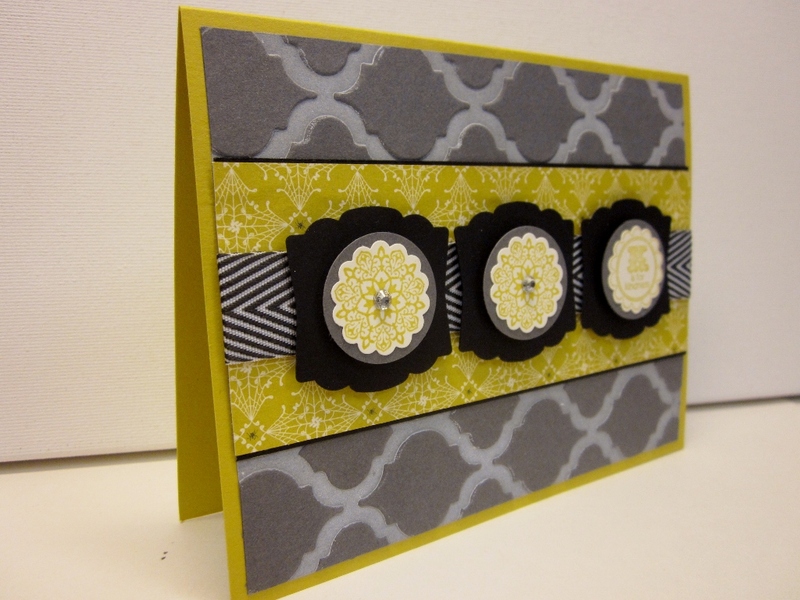 Love your card and the patterns are perfect. These colors just pulled my eyes right to your card. After reading your post, I had to chuckle. I love this color combination and your card is awesome! Love that background!